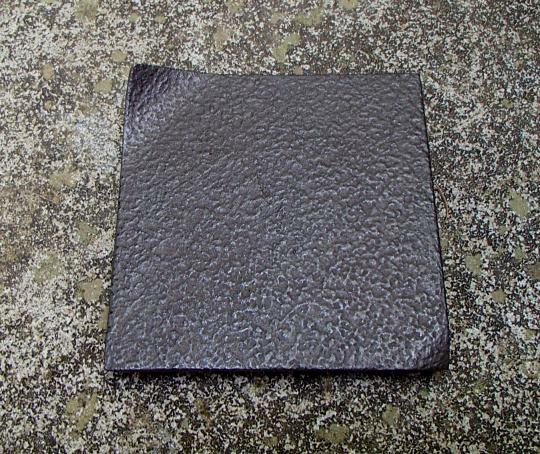 The elegant, square design of this dark brown trivet is given subtle character by curling one corner up and the opposing corner down. The citrus peel finish is easy to clean and the simple design pairs well with our cast iron teapots. 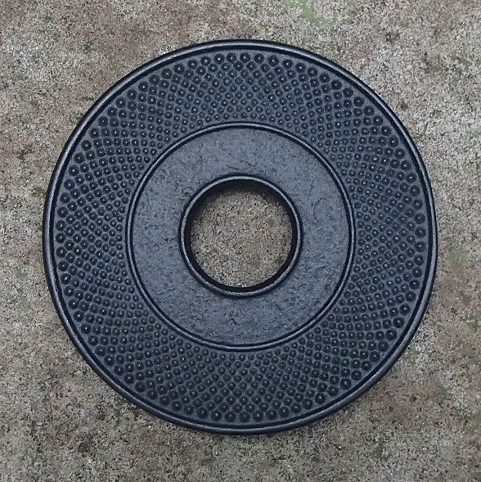 Hobnails surround the outer part if this Japanese black cast iron trivet and a lightly textured area lies near the center. Perfect for virtually every Japanese Tetsubin cast iron teapot. This is the largest trivet we carry and is both beautiful and sturdy. 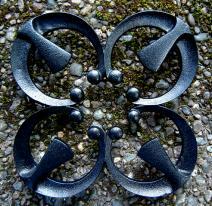 Four 'petals' with eight rounded points encircle the center and four 'feet' with rubber sleeves to protect your tabletop complete this design. 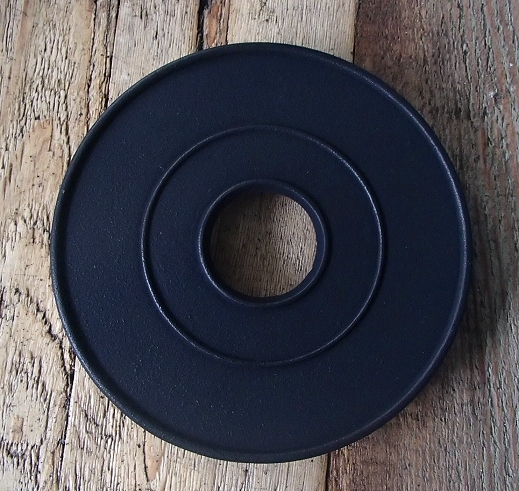 Simple and elegant, this matte black iron trivet is perfect for virtually all Tetsubin teapots.